If you look back on this site, you will notice that I haven't written about many American muscle cars. I have nothing against them; some are really cool. But, there are plenty of really good websites out there dedicated to muscle cars. The people who write them have a passion for - and knowledge of - these cars that I don't have. I leave it up to those folks to write about them. This car, however, is too cool and too obscure for me not to mention. 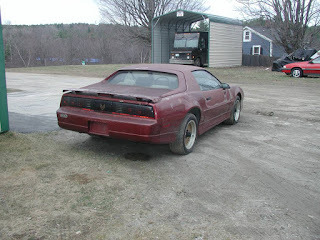 The Notchback was an option only available on the Trans AM GTA in 1988 and early 1989. 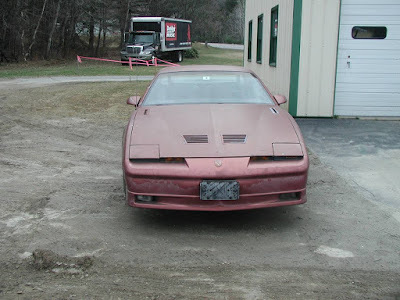 The idea was to have a body style that was unique to the Firebird and not shared with the Camaro. Instead of the normal hatch that was found on the Firebird, the Notchback package replaced the hatch glass with a fiberglass decklid created by Auto-Fab. 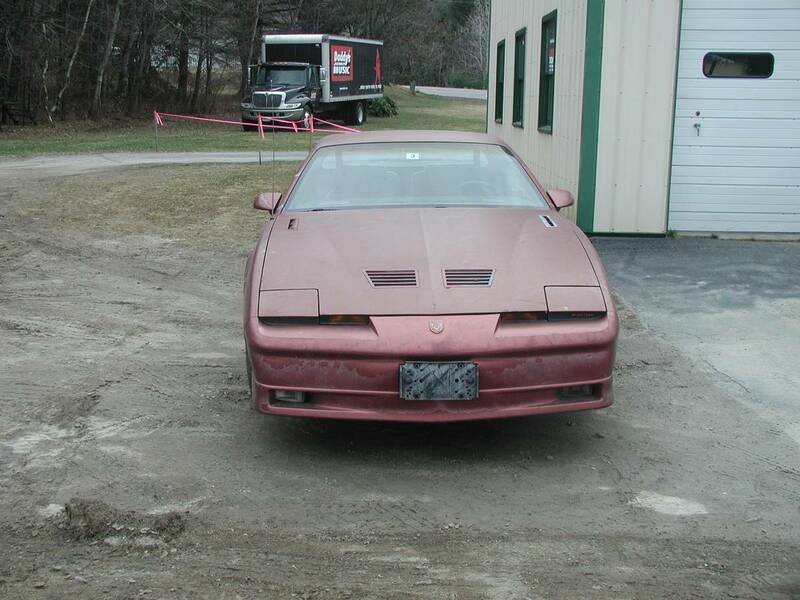 The small rear window reportedly came from the Corvette. Problems occurred right away. Hotrod.com wrote this about the car: "According to Pontiac’s Sporty Car Marketing Manager Lou Wassel, shortly after the announcement, problems surfaced at the Van Nuys F-body assembly plant in Southern California. It appeared that the notchback didn’t fit and all orders were put on hold until Auto-Fab could identify the cause of the problem. Lou recalled that Auto-Fab rebuilt its molds using a new design. Fresh notchbacks were sent out to Van Nuys where they faced the same obstacles. The assembly was yet again closely inspected. Lou claims that the notchback wasn’t actually the cause of the fitment issue; rather it was variances in the production tolerances of the car bodies. Lou says that modifications were made to the design one more time before they reached an acceptable fit. By this time, it was late in the ’88 model year. Some dealers had lost interest and were hesitant to promote an option that had been delayed twice, certainly affecting their sales. Adding to this, there wasn’t any mention of the option in dealer literature that year and many of the salespeople weren’t educated on the notchback, either." When all was said and done, just 718 Notchbacks were built and the option disappeared at the end of 1988. Along with the decklid, the Notchback came with different rear seats that included built in headrests. The styling of the Nocthback is a matter of personal taste. Personally, I like the original hatch. To me, the Nocthback decklid makes the back end look a little to Fiero-ish. This car looks like it needs restoration. At the very least it needs paint. The seller says it is just 1 of 50 to have a 350 V8 in it. The seller does not list an asking price and at one point in his ad says "Great investment ...If you can find one!" That could mean he's looking for offers. Or, it could mean he's asking top dollar or more. With so few built and no real data on how many remain, this car's value can only be based on how badly a person wants one. 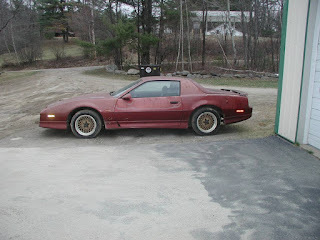 Haggertys shows the value of a "Good" regular Trans Am at around $5000.00. 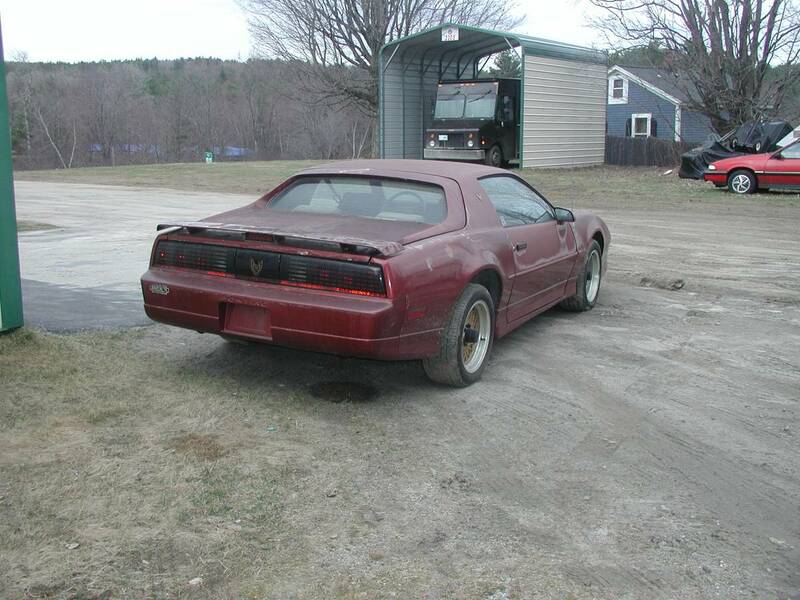 Located in somewhere in New Hampshire, click here to see the Craigslist ad.